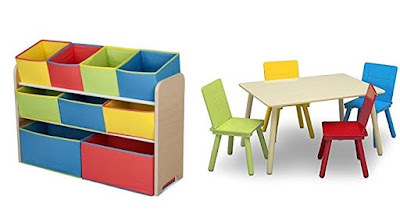 Amazon has the Delta Children Deluxe Multi-Bin Toy Organizer & Kids Table and Chair Set for just $45.49. This price is for the primary color version. Other colors are selling at $100+. Sturdy wood construction with a natural finish. Meets all national safety standards and CPSC regulations. Good quality. 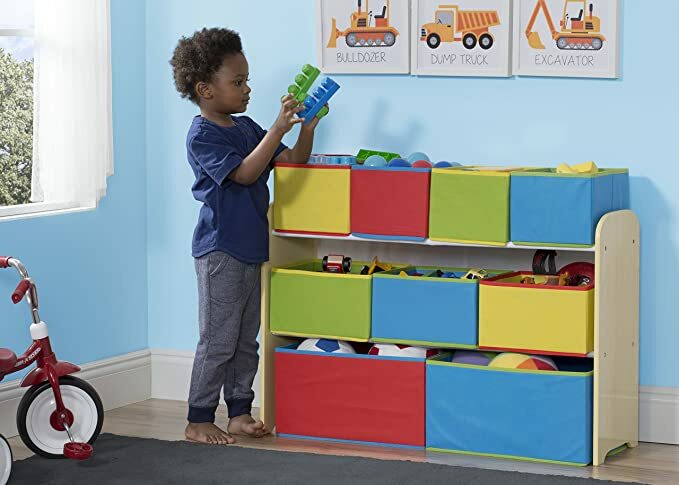 Holds up well to kids needs.